Choose a color above for quantity discount prices ! 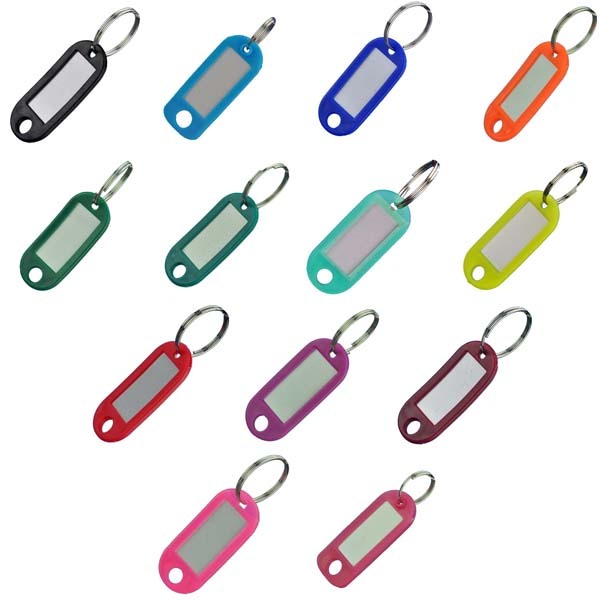 Organize and sort your keys with our Plastic Key Identifier Tags with Split Key Ring. These tags are made of a flexiable plastic. There is an extra hole at the end to hang the keytags from a hook or on a key board. 14 Colors are available, and you can order any quantity you like. The Key ID Tag measures 2'' Long x 7/8'' Wide x 1/8'' Thick. A 1'' Split ring is also included. Paper insert is 3/4'' x 1 3/8'' and is removed by first removing the keyring from the tag, then sliding the paper out. A clear plastic insert protects the paper tag.